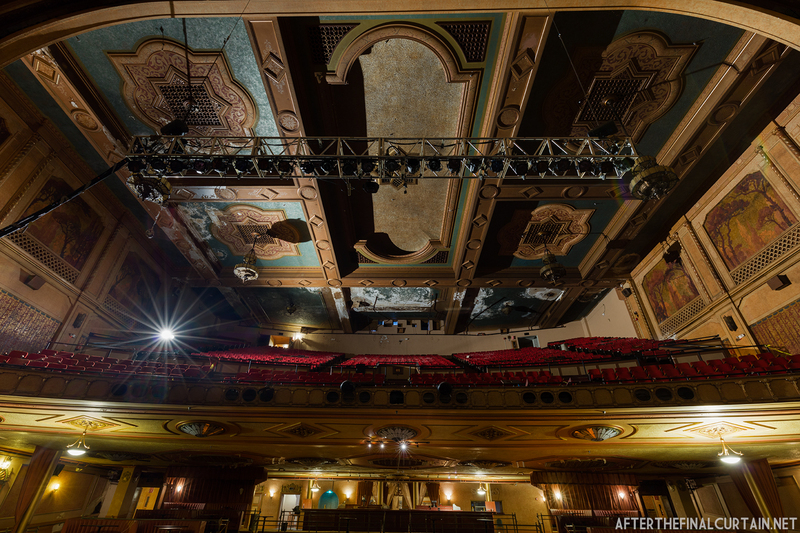 There have been changes to some of the theaters I’ve photographed over the years, so it’s time for another update. 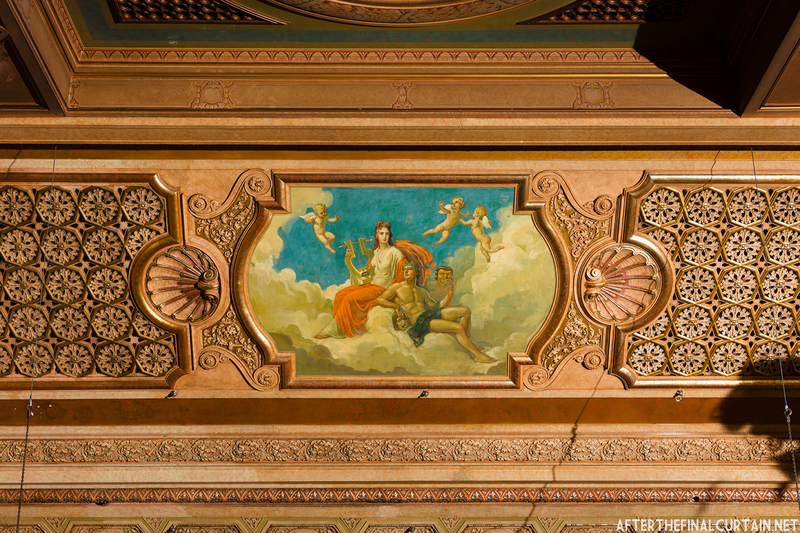 The auditorium ceiling at the Fox Theatre in Fullerton, CA has been restored since I first visited it in 2014. New LED ceiling lights were installed at the same time. 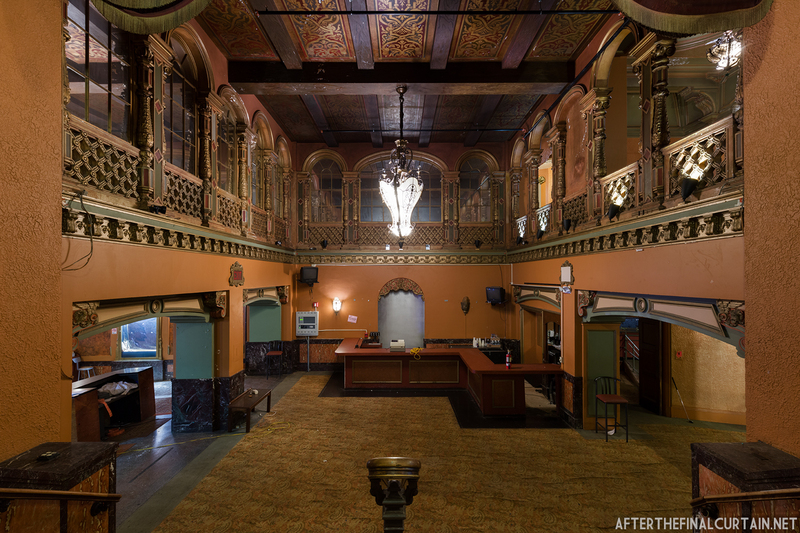 The lobby of the Paramount Theatre in Marshall, Texas has been converted into a performance venue by the owners of Musicians Unlimited. 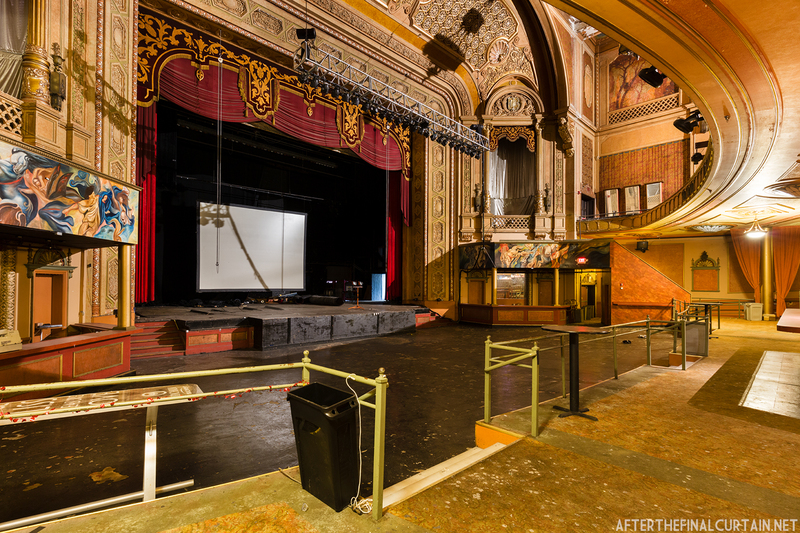 Musicians Unlimited operates out of one of the Paramount’s former retail spaces. 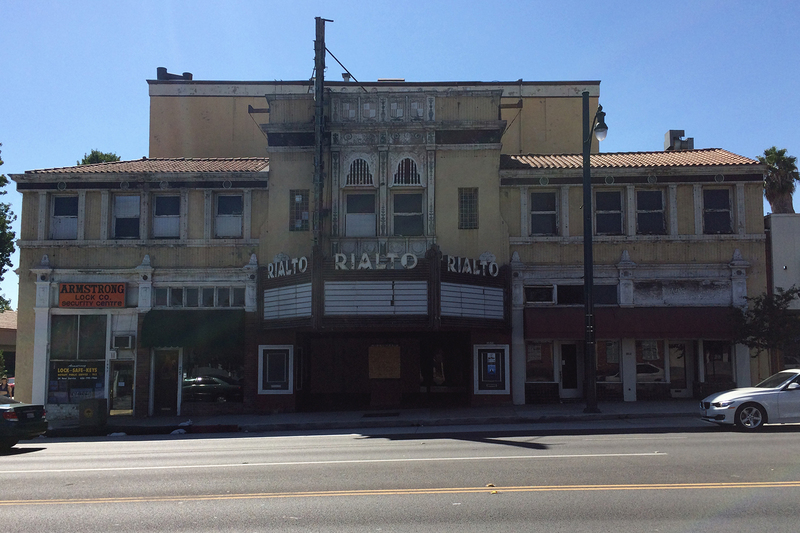 They also restored the theater’s marquee, and held a relighting ceremony in 2016. 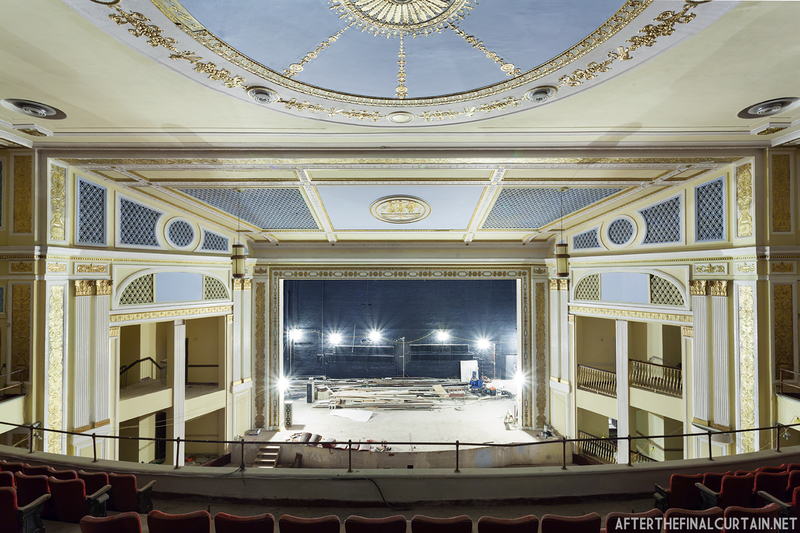 View from the balcony of the Paramount Theatre in Long Branch, NJ. 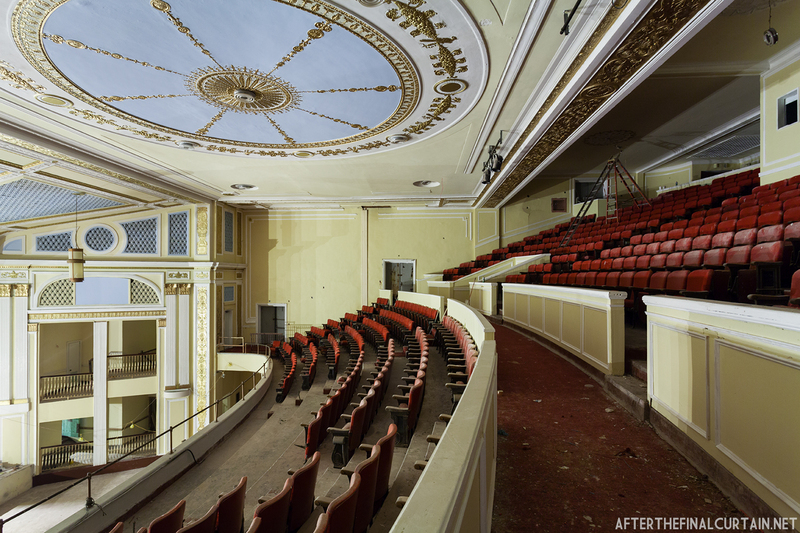 The Paramount (Broadway) Theatre in Long Branch, NJ was demolished in late Spring 2017. 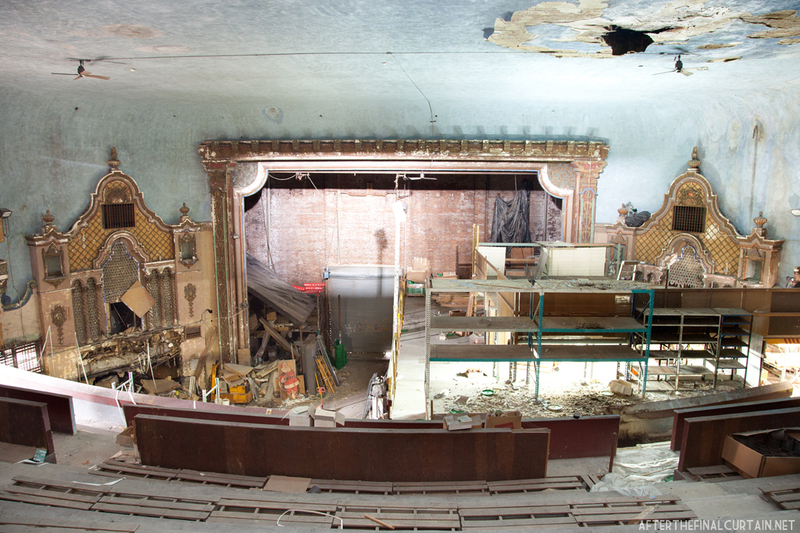 The interior of the Loew’s 46th Street Theatre was gutted in late 2015/early 2016, and the site is slated to become condominiums. 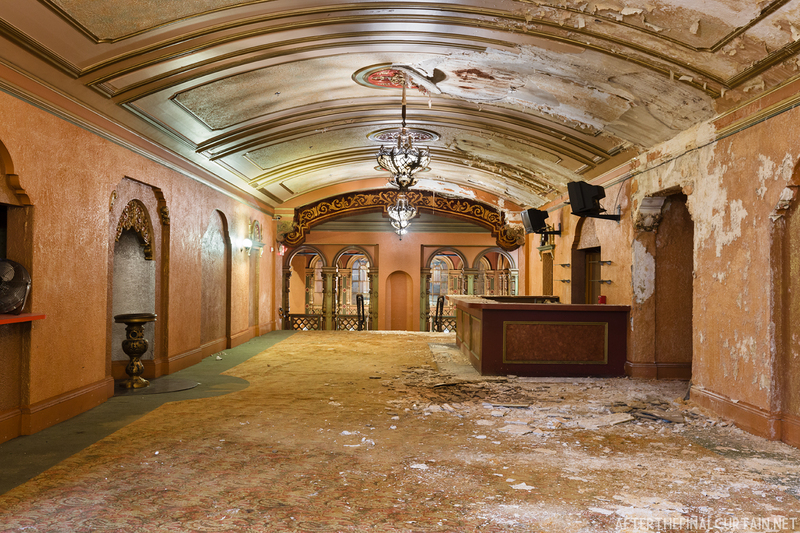 The former Loew’s Theatre Complex (Loew’s Poli Theatre, Loew’s Majestic Theatre and the Savoy Hotel) are slated to be redeveloped over the next few years. 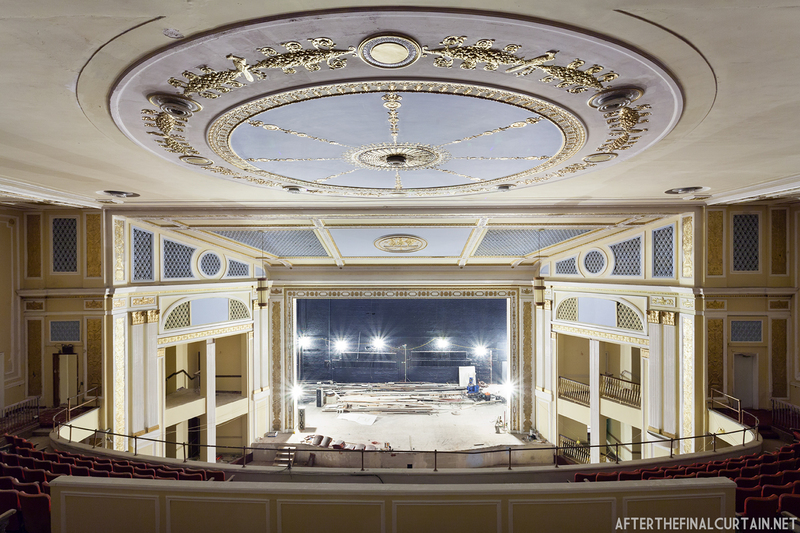 First, the Majestic will be renovated and reopened as a performing arts center. Then, the Savoy Hotel will reopen as a 100 room hotel. 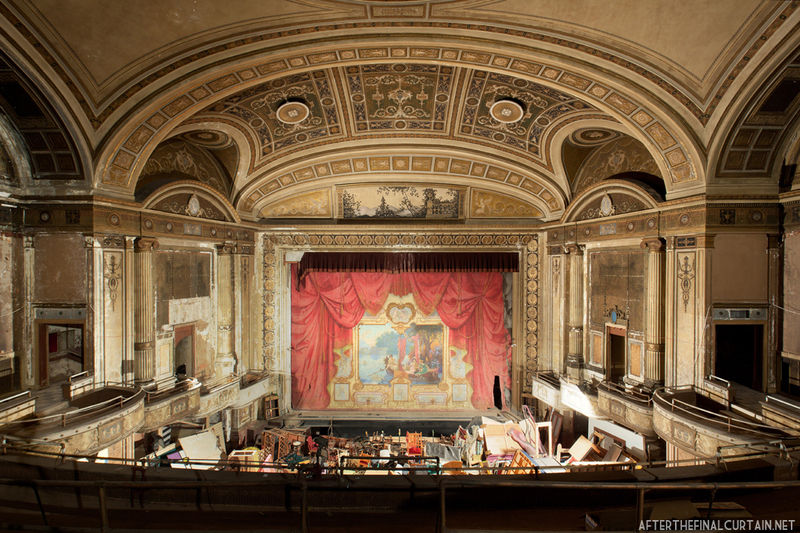 Last, the Loew’s Poli (Palace) Theatre will become a banquet ballroom, gym, and a “family friendly indoor park.” Construction is slated to begin in 2018. 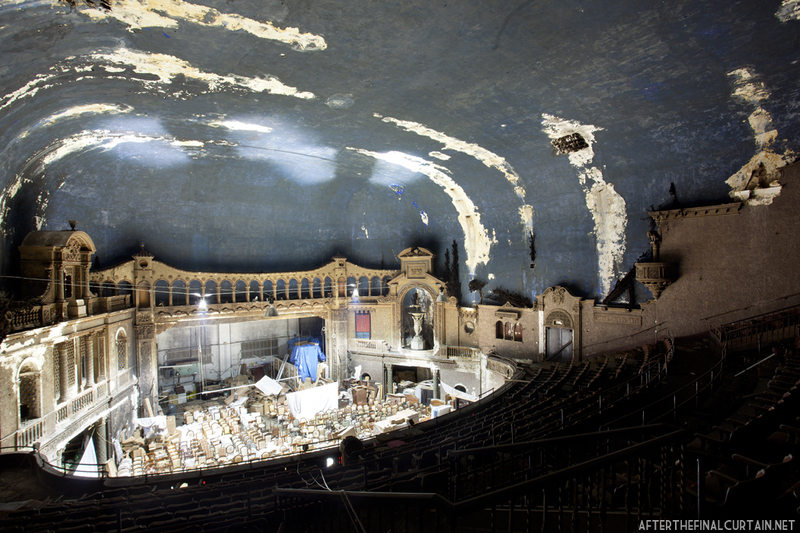 Work began at the RKO Keith’s Theatre in Queens, NY in late June 2017, 31 years after it closed. However, a stop work order went into effect the same day delaying the start of construction once again. 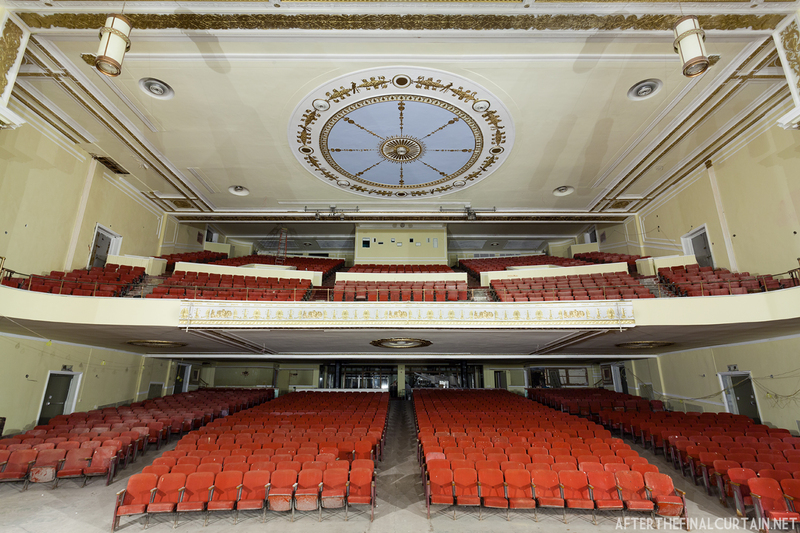 The auditorium is slated to be demolished in the fall of 2017. 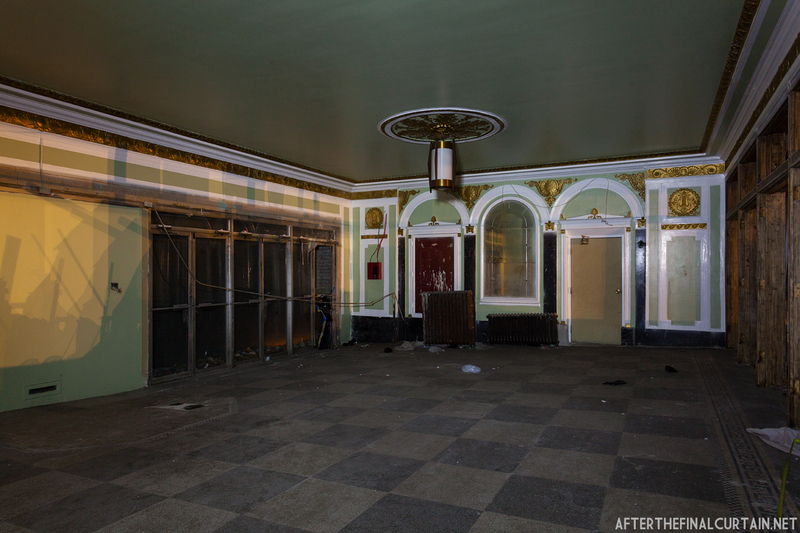 Portions of the lobby, as well as the original ticket booth are slated to be incorporated into the condo building that will be constructed where the auditorium once stood. 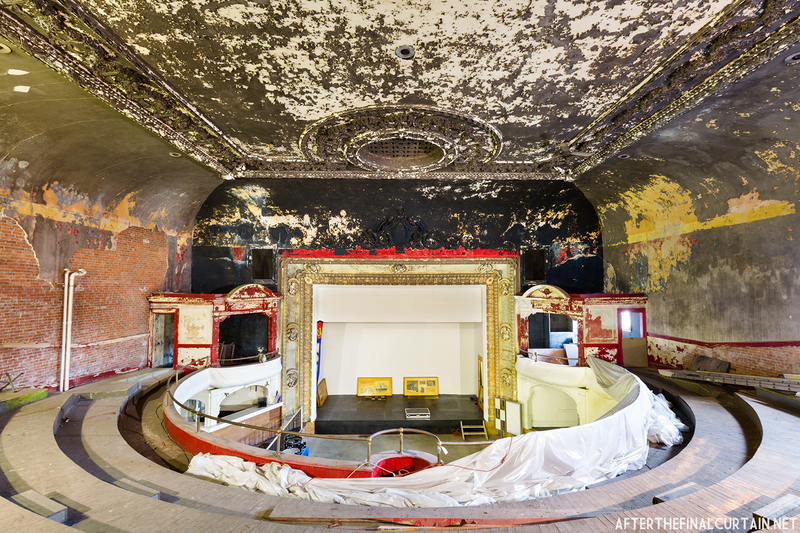 The Embassy Theatre in Port Chester, NY was gutted in the spring of 2017. No plans for the future of the space have been made public. Gutted photo courtesy of Gaby Gusmano. 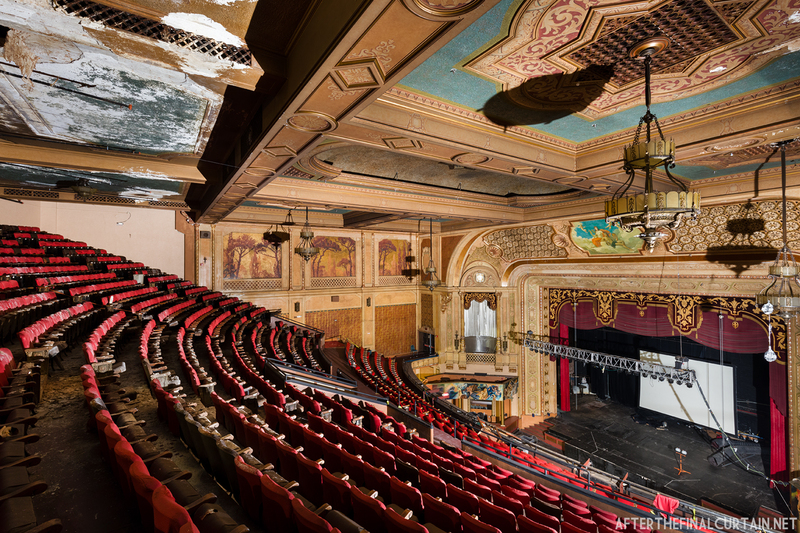 The Carolina Theatre in Charlotte, North Carolina opened on March 7, 1927. It was designed by R.E. 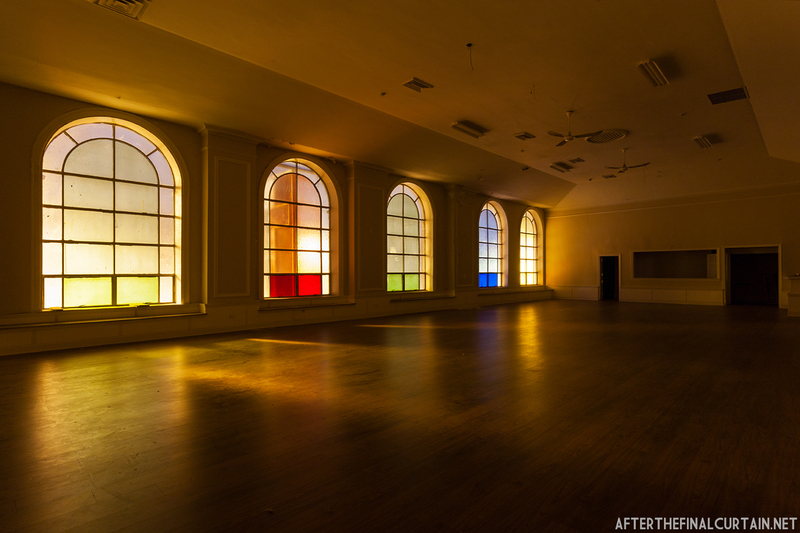 Hall as a pseudo-atmospheric theater. 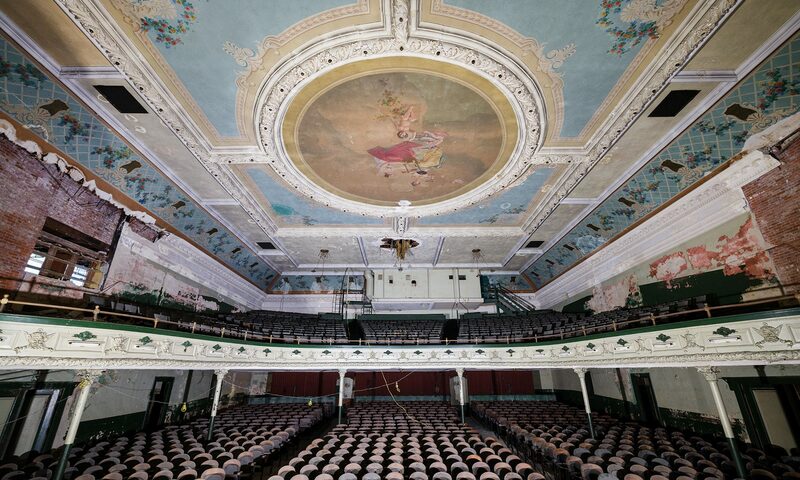 The interior design was made to resemble a Spanish patio, but unlike a typical atmospheric theatre with its dome ceiling painted like the night’s sky, the Carolina has a coffered ceiling with murals on the side walls depicting a Mediterranean sky. 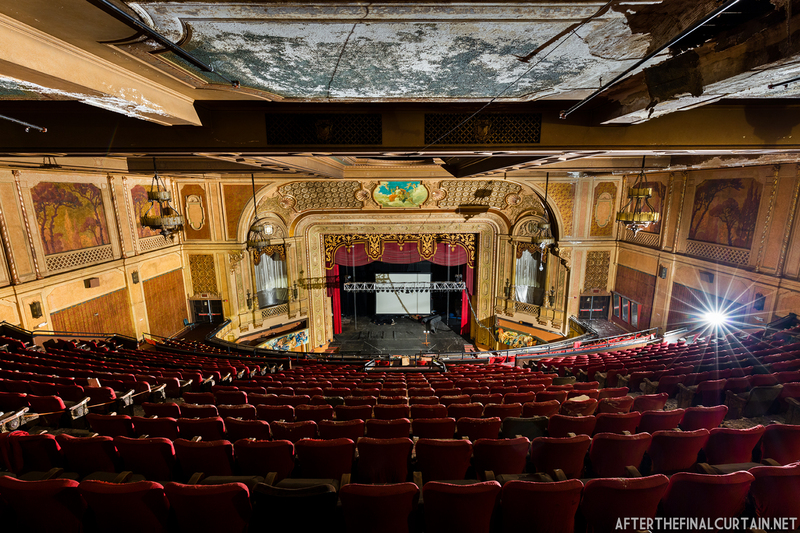 The 1,800 seat theater was part of the Publix Theatres Corporation, which later became Paramount. Publix’s motto was “One of The Publix Theatres,” meaning that each of their theaters were held to a very high standard. It was built for $600,000, or around $8,276,000 when adjusted for inflation. Opening day consisted of a screening of the silent film “A Kiss In A Taxi,” starring Bebe Daniels, a vaudeville act from the B.F. Keith circuit and a formal presentation by then-mayor D. M. Abernethy. Over the years many famous performers visited the Carolina, including Bob Hope, Frank Sinatra, Katherine Hepburn and Elvis Presley. Warren Ervin, the city manager for Publix in Charlotte, was appointed first manager of the theater. 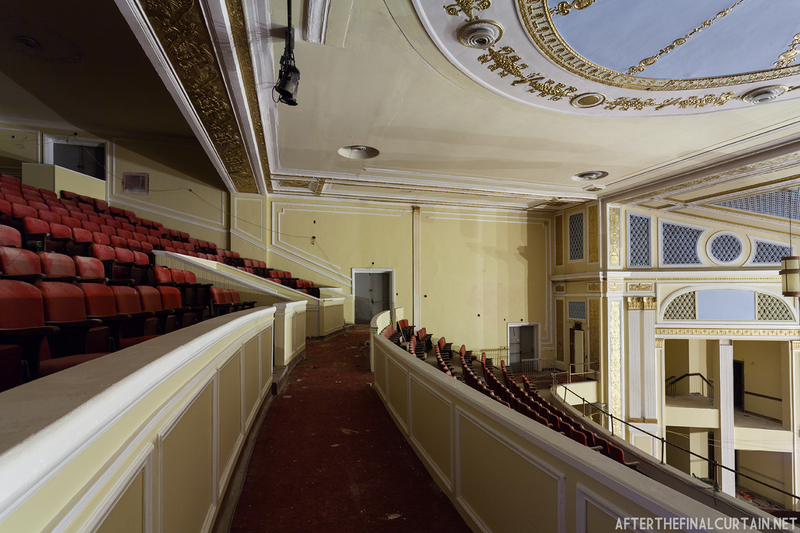 In 1938 the theater was updated with new projectors, sound equipment and larger seats. 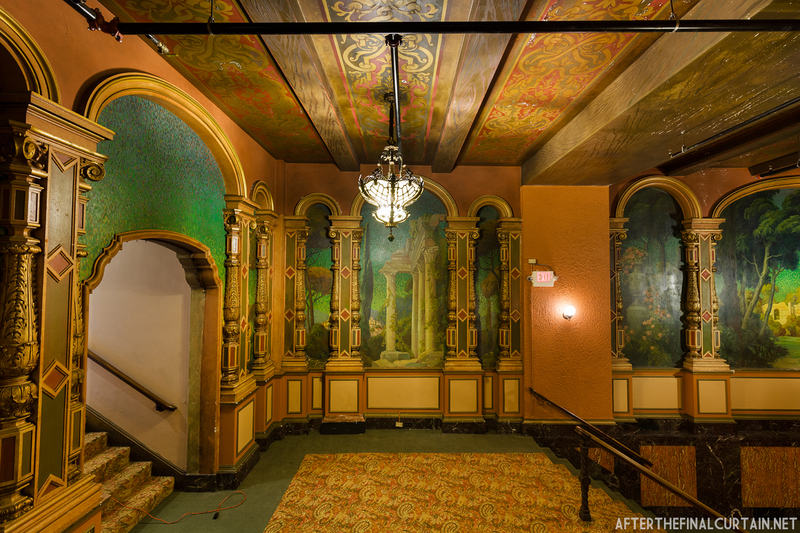 As part of the renovation the original murals were replaced with new ones on acoustic tiles. 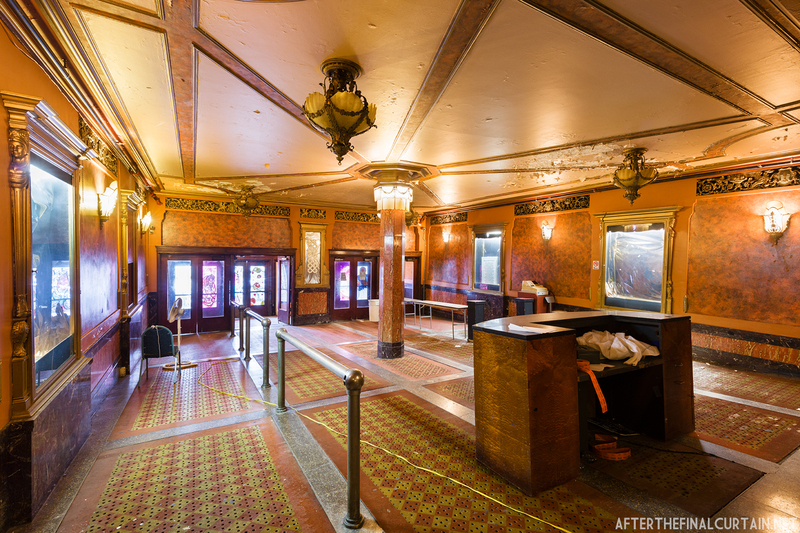 The new acoustic tiles helped with film sound clarity, since the theater was built before “talkies” were the norm. 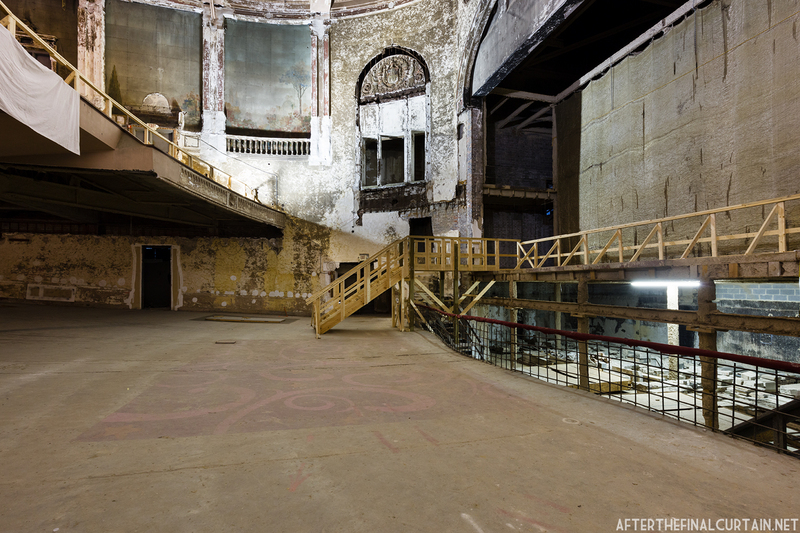 It underwent another renovation in December 1961 when it became a Cinerama Theatre. Cinerama was a widescreen projection system that involved using three synchronized 35mm projectors on a very wide, curved screen. Films shown in Cinerama Theaters had programs, assigned seating, and encouraged people to dress up to see the show. 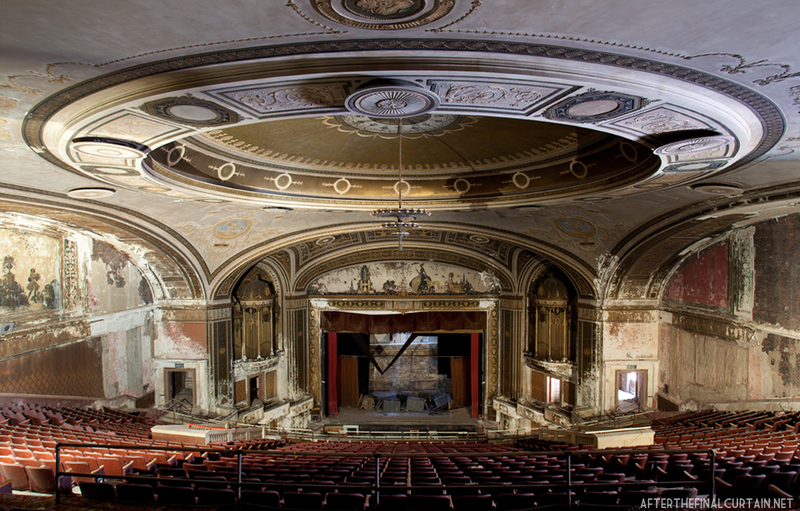 An eight rank Wurlitzer organ was installed in the theater when it opened. The Carolina closed on November 27, 1978 after a showing of “The Fist of Fury,” starring Bruce Lee. 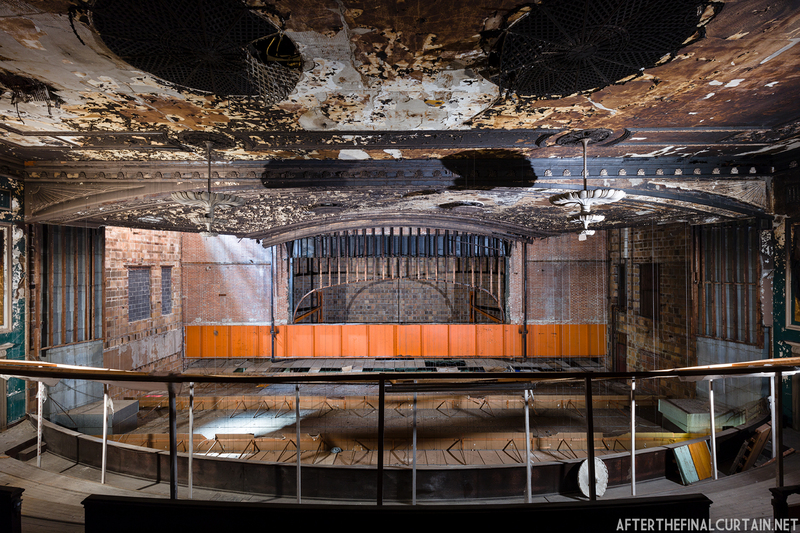 Almost two years later on November 13, 1980 a fire was started in the stage area. Luckily, the fire curtain was still intact and saved the auditorium from being damaged. The Charlotte-Mecklenburg Historic Landmarks Commission designated the Carolina a historic landmark in September 1982. 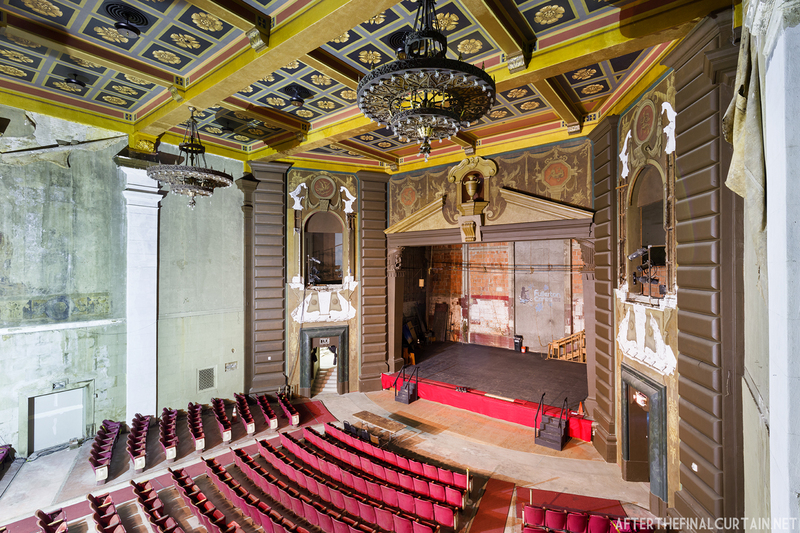 During the years the theater was dormant there were a few restoration proposals. 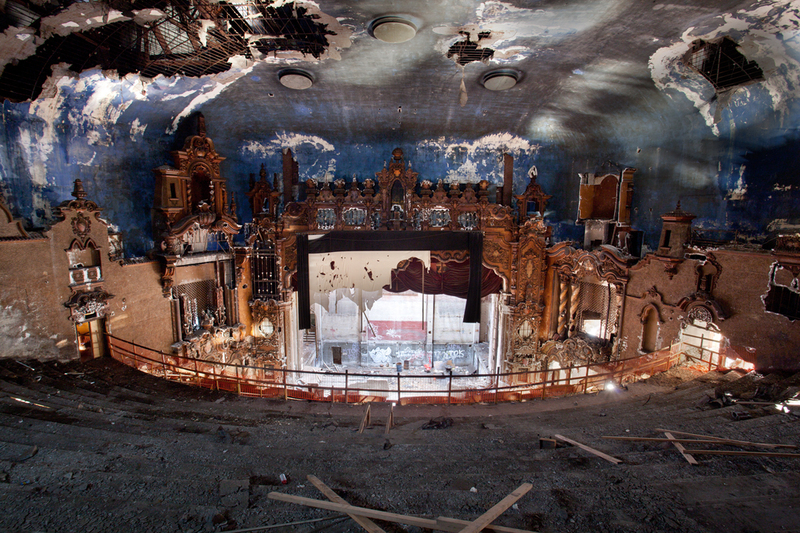 One such plan was City Fair, a project that would have converted the theater into a performing arts center with conference space in between shows. The City Fair project was announced in May 1987, and work began on the theater a few months later. 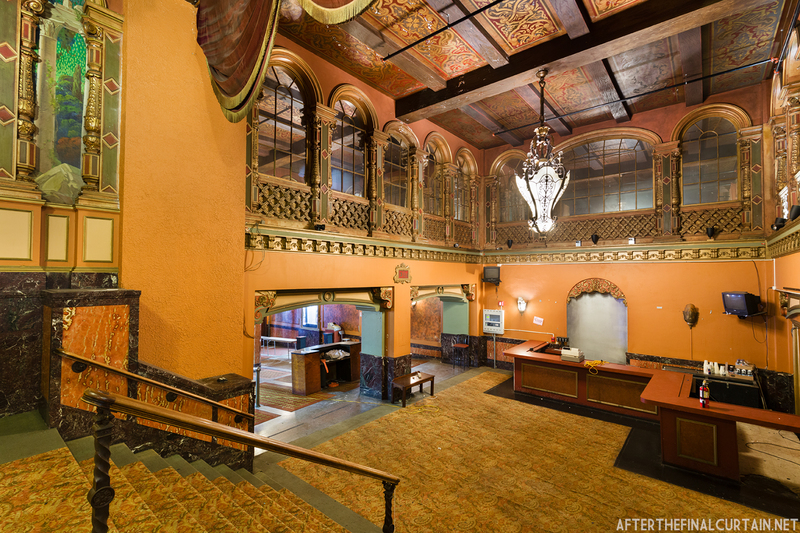 The developers petitioned the city to delist the theater from the national historic register because the steel beams for the restaurant portion of the complex would not fit through the lobby, so they needed it to be demolished. The city agreed and the lobby was demolished in 1988. A few months later the project came to a halt when the developers ran out of money. Elvis performed at the Carolina on Feb 10, 1956. In April 2013, the city of Charlotte sold the theater to the Foundation for the Carolinas for $1. 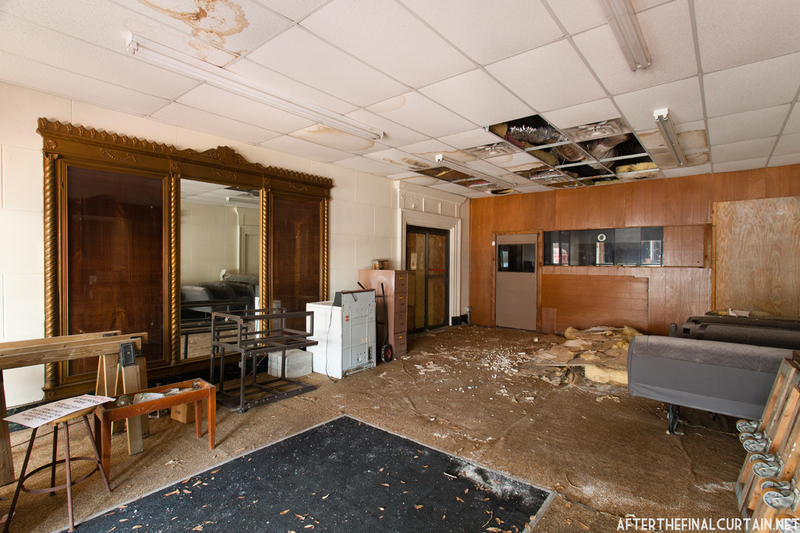 The Foundation for the Carolinas (FFTC), a charitable foundation located in North Carolina whose headquarters is located adjacent to the theater, intends to renovate the theater and use it as a performing arts center. 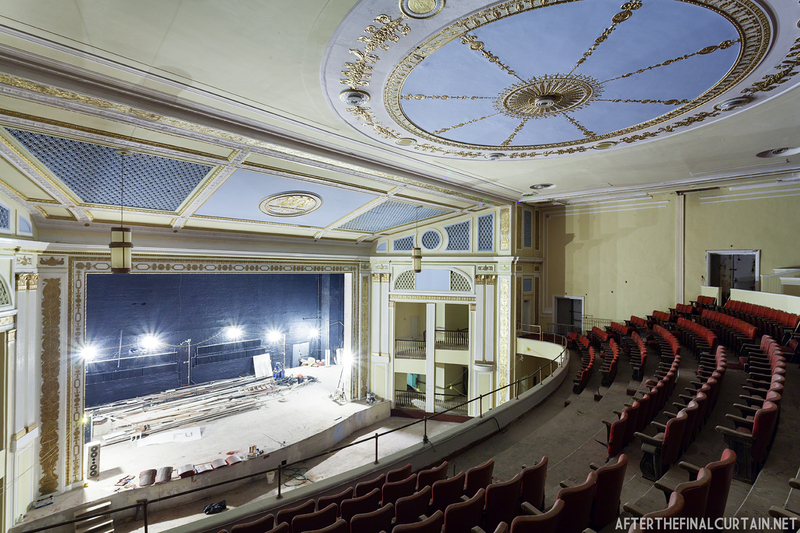 In October 2014 the Belk Family gave FFTC an $8 million dollar gift to go to the restoration of the theater. In honor of that gift the complex will named Belk Place and the theater will be known as the Carolina Theatre at Belk Place. 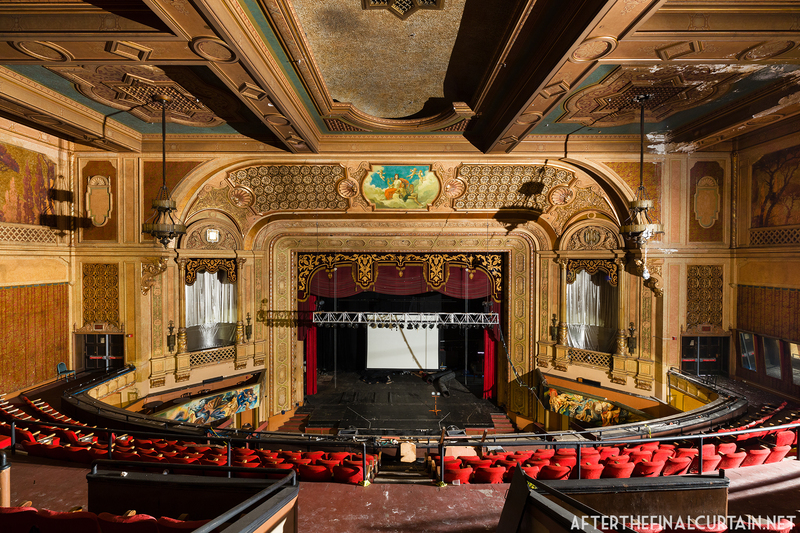 Construction is scheduled to begin in 2017 with the theater currently slated to reopen in late 2018. Bank of America pledged $5,000,000 to the project in January 2014. 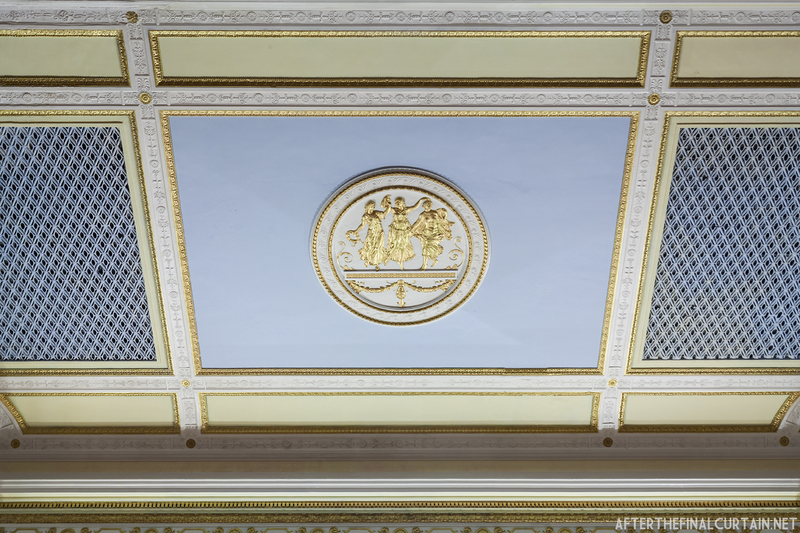 A look at the coffered ceiling. The original stonework from the facade was saved and is going to be incorporated into the new lobby.